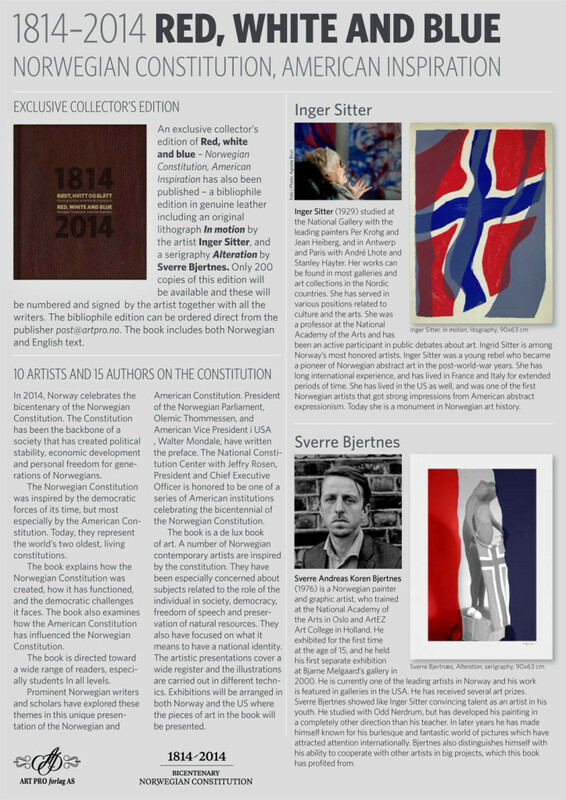 An exclusive collector’s edition of Red, white and blue – Norwegian Constitution, American Inspiration has also been published – a bibliophile edition in genuine leather including an original lithograph In motion by the artist Inger Sitter, and a serigraphy Alteration by Sverre Bjertnes. Only 200 copies of this edition will be available and these will be numbered and signed by the artist together with all the writers. 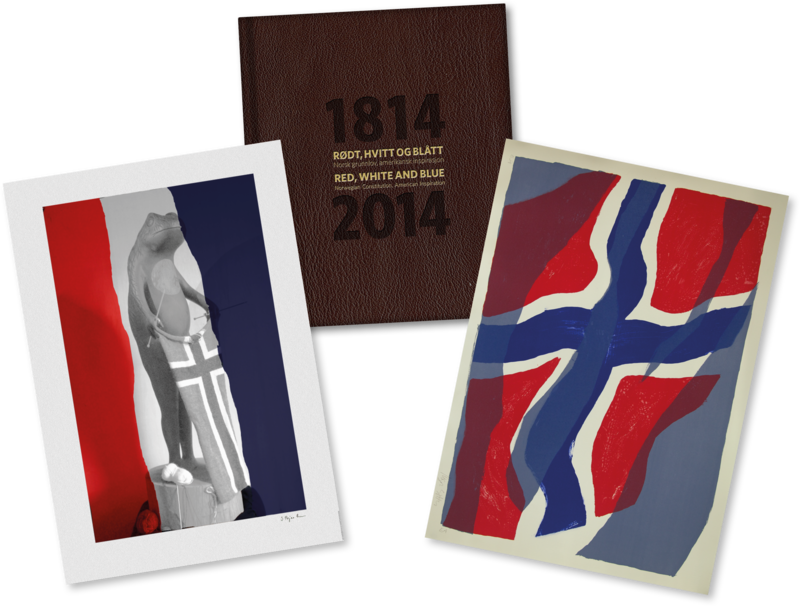 The book includes both Norwegian and English text. The bibliophile edition can be ordered direct from the publisher post@artpro.no.